In this review we feature the best high-fidelity speakers that are designed for audiophiles and demanding music listeners. These speakers are built to reproduce crystal clear audio and pick up every single detail in the music with fine studio-like reproduction. They are great if you want to sit back and enjoy every single detail in the recording; these speakers also provide a good level of soundstage and separation, so that you can feel as though you are sitting in a real life concert hall while listening to the speakers. Furthermore, these speakers are built to deliver deep bass sound effects for home theater applications and movies; you would be able to hear cinematic sound effects from these speakers that make listening to music very enjoyable. 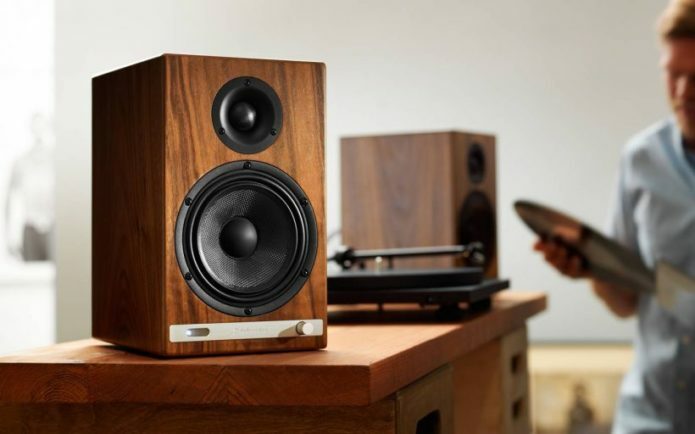 Some of these speakers also have a phonograph connector for vinyl recordings to enhance the overall listening experience. If you are looking for some of the best high-fidelity speakers that can reproduce distinctly clear and precise audio, be sure to check out our top picks below!